Howard Phillips Lovecraft?s stories shaped modern horror more than any other author?s in the last two centuries: Cthulhu, the Old Ones, Herbert West: Reanimator, and more terrifying nightmares emerged from the mythos of this legendary writer. 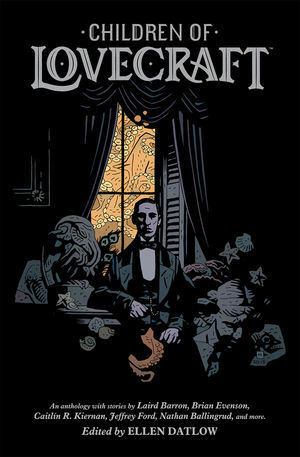 Dark Horse teams up with Hugo and Bram Stoker Award?winning editor Ellen Datlow to bring you this anthology of original prose stories that are inspired by Lovecraft?s mythos. Features work by Richard Kadrey, Brian Hodge, A. C. Wise, Siobhan Carroll, Orrin Grey, and many more, with a stunning cover by Hellboy creator Mike Mignola.